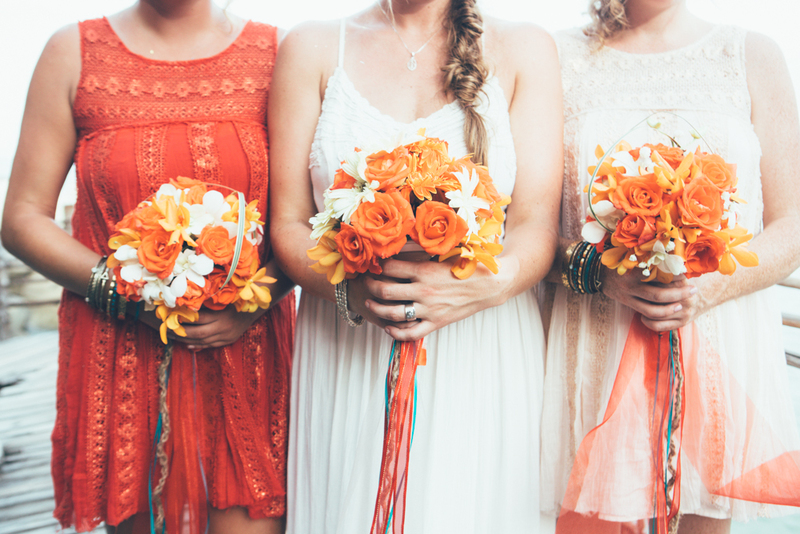 Best friends for 13 years, with their beautiful baby girl Ruby as the flower girl, their destination wedding went off without a hitch. 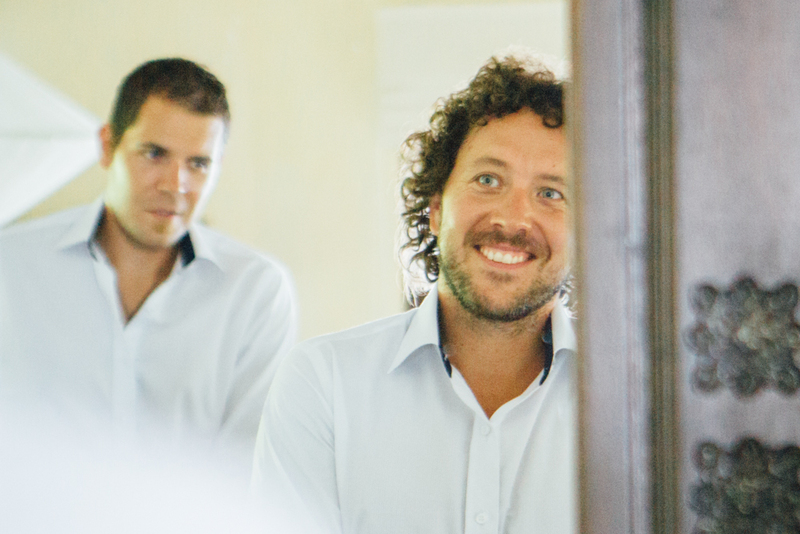 Both Jemma and Jeff have been tour guides with a Calgary company, Free & Easy, for years. Free and Easy offers tours all over Asia and Central America, guiding new travellers to the hidden gems and must see places in all different countries. 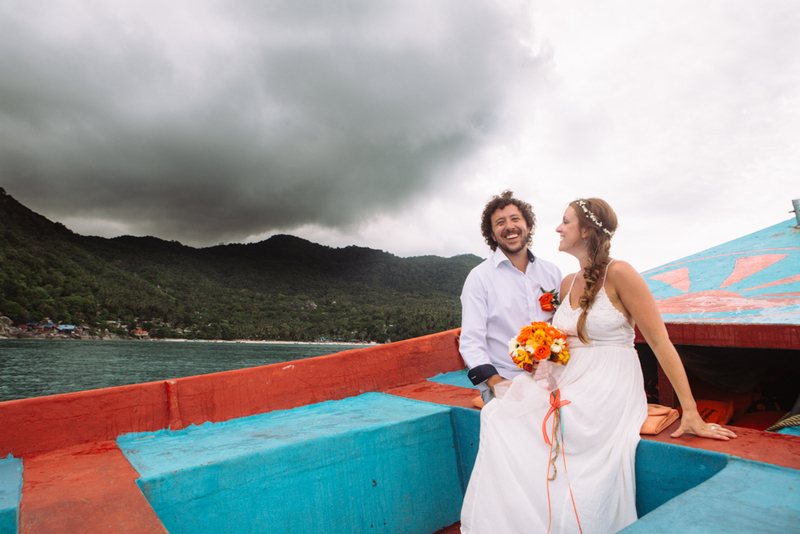 So it was only fitting to have their wedding in the place so dear to their hearts - Koh Pangnan, Thailand. 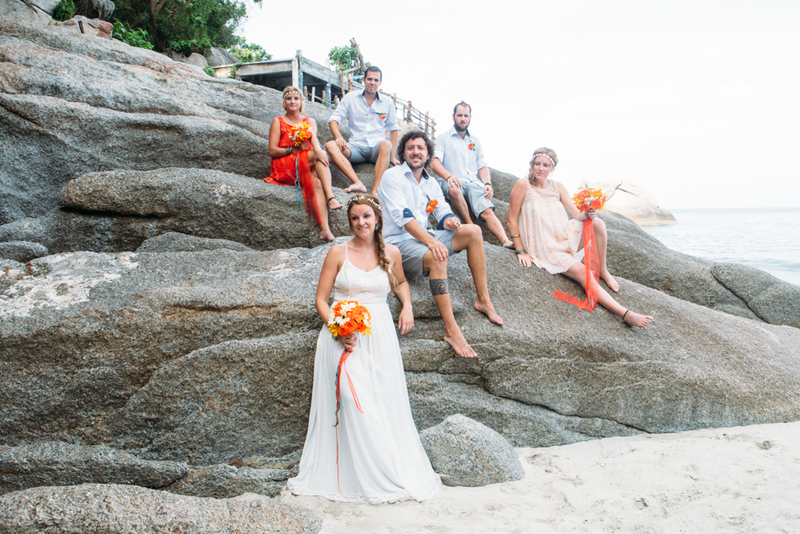 They ran their own holiday tour for their guests, bringing them to some of the most beautiful and unique areas of Thailand in the weeks prior to the wedding. 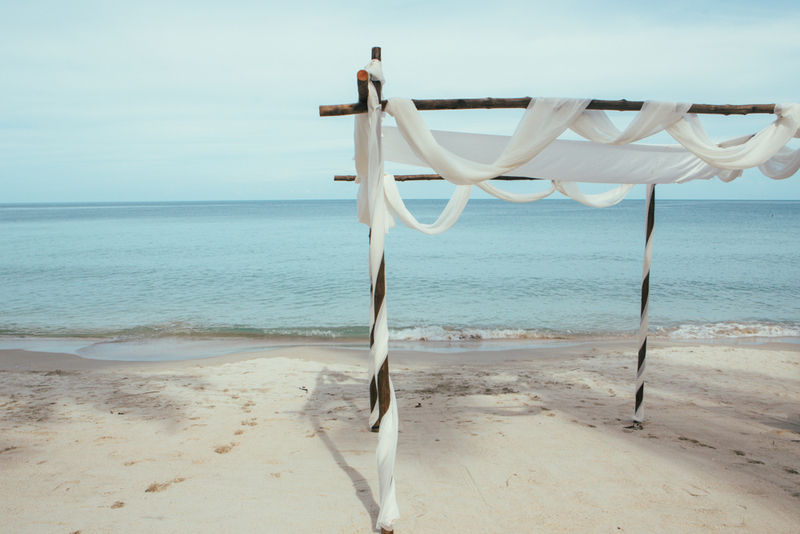 The trip climaxed at the beautiful beach of Haad Yuan on Koh Pangnan island in southern Thailand, where the wedding took place. Despite the beginning on monsoon season, the weather gods showed mercy, holding off the rain the whole day. 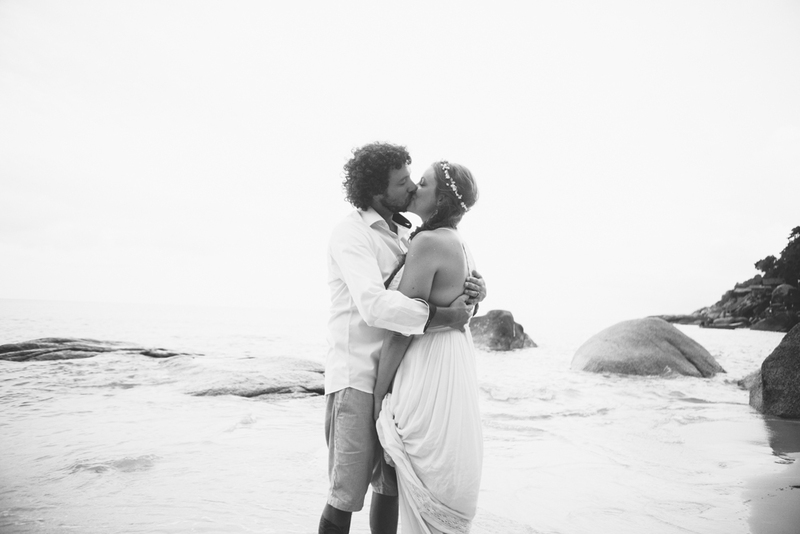 Bare feet, flowing dresses, a turquoise sea, and a Polaroid photobooth were just some of the elements making this beach wedding exactly as they imagined.